Memory Laps(e) is honored to join a number of area bands in performing at R.O.C.C. 4 (Rock Out Crohn’s & Colitis 4), benefiting the Crohn’s & Colitis Foundation of America. R.O.C.C. 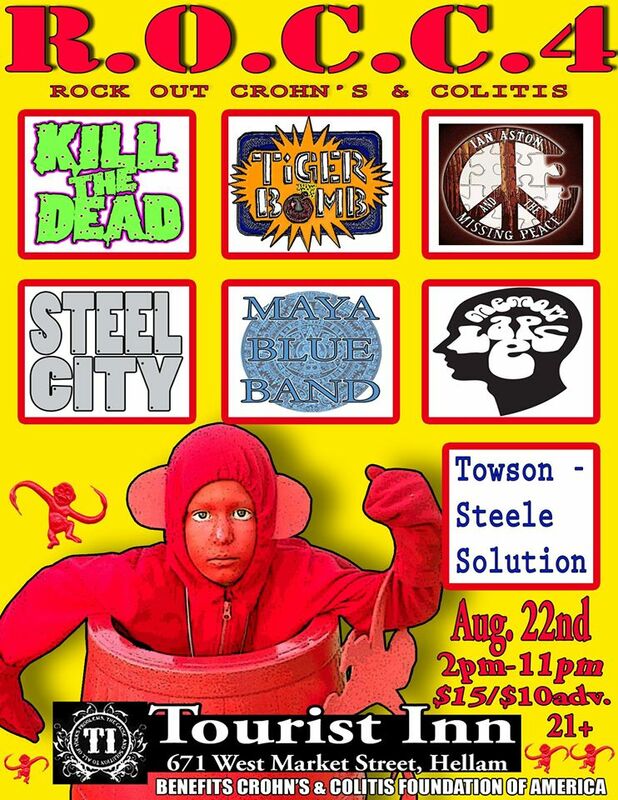 4 is Saturday, August 22, at the Tourist Inn, Hallam, PA. The event runs from 2 p.m. to 11 p.m. with Memory Laps(e) performing 5-6 p.m. Tickets are $15 ($10 in advance).